As a special education teacher and a caretaker for people with autism spectrum disorder (ASD), I constantly worry about the futures of my students/clients. More specifically, I wonder whether or not they will be able to acquire employment. For some individuals, such as those with high-functioning autism and Asperger’s, there are several vocational training programs and helpful information available online. However, as much as I researched, I discovered people diagnosed with severe autism are often completely left out of the vocational discussion. In Issue 38 of Autism Parenting Magazine, Eric Jager, a parent of a teenager, described his son as “nonverbal (communicates effectively via an AAC device)…[and] has significant sensory and behavioral challenges.” He said, “In spite of the fact that he is generally considered to be ‘low-functioning’ based on the loosely agreed-upon set of standards that society has established, he is intelligent, engaging and very resourceful.” However, he adds, ‘If, like me, you are the parent of a ‘low-functioning’ nonverbal, stimming adolescent, you are not often encouraged to consider a future of meaningful and satisfying employment for your child…I asked supported employment experts about the prospects for employment for kids like my own son and was told several times that when they discuss autism and employment, they are not talking about kids like him.” “They” are talking about those with high-functioning autism. Most people with disabilities don’t start working until they are 18 years of age. However, a vocational program MUST be established before this age. 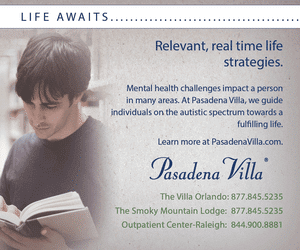 With severe autism, it could take years to train an individual on a certain set of skills. 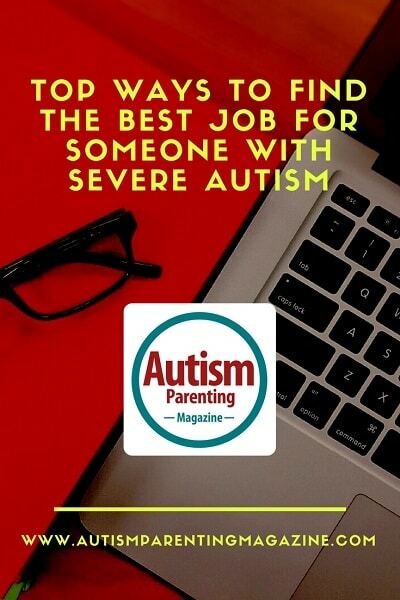 The child with autism needs to start practicing for a job as soon as possible. As Dr. Temple Grandin, dubbed “the most famous person with autism,” writes in her book, The Autistic Brain: Helping Different Kinds of Minds Succeed, “about 50,000 people diagnosed with ASD turn eighteen every year in the United States alone. That’s a little late to be thinking about adulthood. I tell parents that by the time their ASD kids are eleven or twelve, the parents should be thinking about what the kids are going to do when they grow up. Nobody needs to make a final decision at that point, but the parents should start considering the possibilities so that they have time to help prepare the child.” Time is essential. You may be asking, “How am I supposed to decide what my kid is going to do for a vocation when he/she is only 11 or 12 years of age?” Start by making a list of things the child likes. Don’t leave anything off this list, and don’t dismiss anything thinking it couldn’t turn into a job. Keep your mind, and the possibilities, open. Creativity and an open mind will be your best allies in finding a job for your child. Once you have found a job that you think would be a good fit for your child, start to practice! Design and implement a program that teaches your child the skills necessary to complete the job. Ask for help from a behavior analyst or your child’s teacher to help you design the program using task analysis (breaking the job skill down into steps, and then teaching step-by step). See if your child can practice during work time at school. Make sure to practice over and over again at home. You could even set up a system of rewards to motivate him/her to complete the task. Practicing is key! The more they practice, the better they will be performing the task independently or with light assistance from an aide. Vocational rehabilitation is an excellent resource that will help you to find autism-friendly employers who are willing to make accommodations for your child in the workforce. Each state government runs their own vocational rehabilitation program. In KY, you can find more information at http://kcc.ky.gov/Vocational-Rehabilitation/Pages/default.aspx. In fact, one vocational rehabilitation specialist in Louisville, KY, was able to find a job for an individual whose only ability was to make a swiping motion with one finger! A job DOES exist for your child—you just have to be flexible, open-minded, creative, willing to put in the effort to search for a job, and patient enough to practice with him/her. Don’t be afraid to ask for help from teachers or other professionals in your child’s life. Try your hardest to creatively match a job to your child’s interests. Remember to practice, and never give up! Never stop looking for resources and asking for accommodations. And most of all, believe in the abilities of your child and keep in mind that it IS possible for him/her to learn new skills. Ms. Karlyn Habenstein is an assistant special education teacher at Westport Middle School in Louisville, KY. She has done extensive research in The Picture Exchange Communication System (PECS), Augmentative and Alternative Communication (AAC), and Applied Behavior Analysis (ABA) at Purdue University. 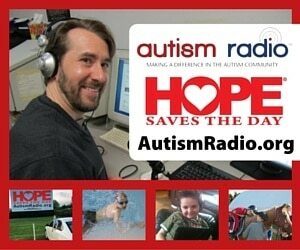 She specializes in autism and has worked as an ABA therapist. 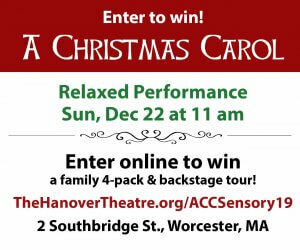 She is also a personal care and respite provider for those with autism and other developmental disabilities. She is currently working towards obtaining her master’s degree in special education. In her spare time, she enjoys creating easy-to-read books for those with low-functioning autism, which can be found on her website. Grandin, Temple. (2014). The Autistic Brain: Helping different kinds of minds succeed. New York, New York: First Mariner Books. Jager, Eric. (2015). “Low-Functioning” Autism and Employment. Autism Parenting Magazine, 38. 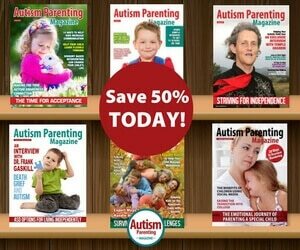 Retrieved from www.autismparentingmagazine.com/issue-38-keeping-asd-kids-healthy/.